Esri is now curating an enormous and rapidly growing library of ready-to-use maps, imagery, and geo-referenced data for the entire world. This online collection of authoritative content, together with the new Web GIS pattern, is having a huge impact on the way people use GIS. GIS has a long history of successfully adapting to new technologies, applications, customer types, and business models. From mainframes to minicomputers, UNIX workstations to PCs, desktops to the enterprise to the cloud, each round of technical innovation has led to countless advantages for users of the technology. Every one of these changes has extended the reach of GIS by making it more accessible and usable by more people and for more applications. 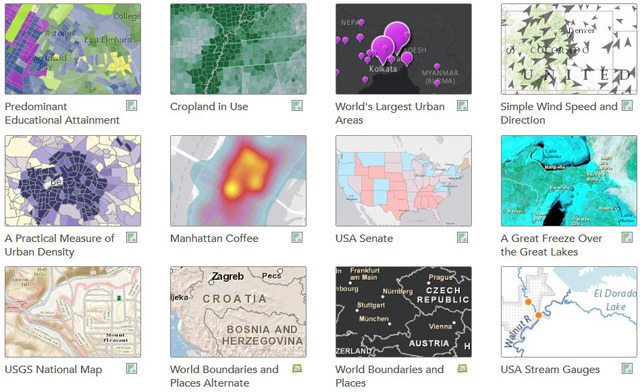 Esri is curating a massive library of ready-to-use data for the entire world. 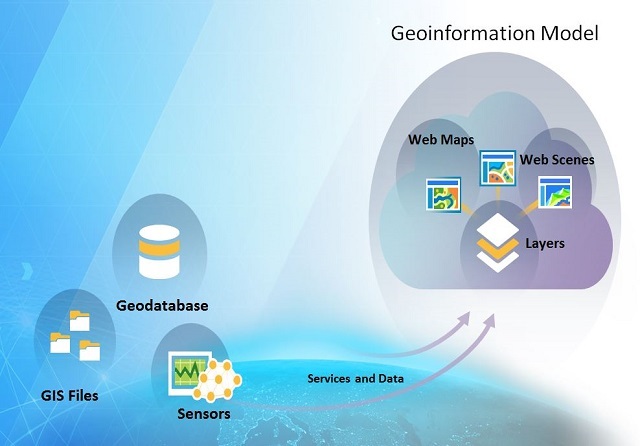 Over the past several years Esri has been extending the ArcGIS information model to enable Web GIS. This technology lets users simplify the management and access of all types of geospatial content. This is done by abstracting these data into three new information types: web layers, web maps, and web scenes. The result is that GIS is not only dramatically simplified, but geographic information products (maps, 3d visualization, etc.) can be easily integrated and used in any app on any device. Web GIS abstracts data into web maps, web scenes, and web layers, leveraging existing data models, simplifying everything, and making data more useful and available. 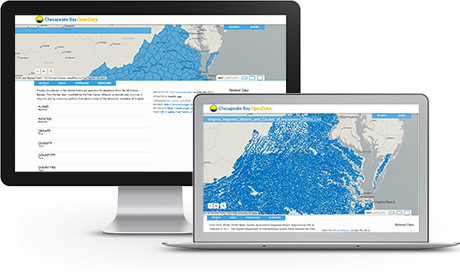 ArcGIS Online is Esri’s cloud-based GIS solution. It provides users with everything they need to create interactive web maps and apps that can be shared with anyone. And it’s rapidly becoming the first place that GIS users should look for content. With ArcGIS Online, thousands of ready-to-use maps and layers give more context and meaning to your data. 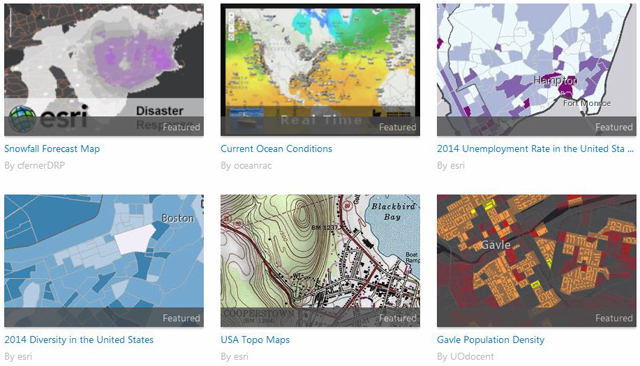 Users of ArcGIS Online now have access to a comprehensive and growing collection of online content covering a wide variety of themes and subjects. They can also easily share their data and become part of a content community. Not only is this changing how they do their work, it’s also transforming the very nature of what it means to use GIS. ArcGIS Online lets you browse the world’s most extensive online geographic resource and discover maps and data about thousands of topics. You can combine the content any way you want, view it on a map, and use it for you own explorations and analyses. Content that just a decade or two ago would have literally cost hundreds of millions of dollars, or simply didn’t even exist, is today freely available to GIS users through ArcGIS Online. While Esri has organized and curates a very large volume of authoritative content, a significant part of the online content is made available by members of the GIS community themselves, who are sharing thousands of data sets and web maps daily. The Community Maps program lets users share their authoritative content with the global GIS community. 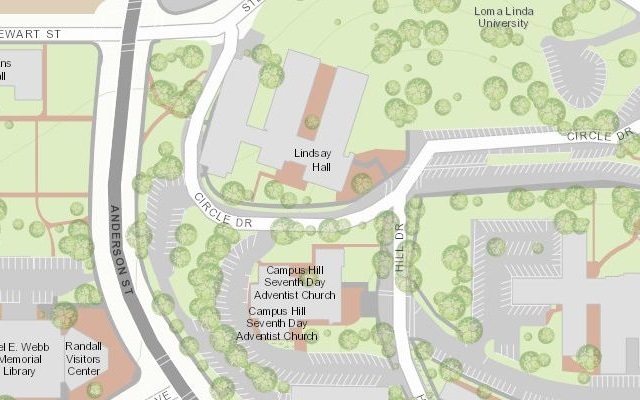 Esri operates a special program for sharing base maps and imagery. Under the Community Maps program, members of the GIS community can make their content more easily accessible, and improve collaboration and productivity, by sharing that content in the cloud. Users inside and outside of an organization, including the local business community and even the general public, can use the online maps with ArcGIS software, Web mapping applications, or standard Web browser- and device-based applications. The Living Atlas of the World is a collection of thousands of maps, intelligent map layers, imagery, tools, and apps built by ArcGIS users worldwide and by Esri and its partners. This rich catalog of geographic information is made available through ArcGIS Online, and reflects the collective power and reach of the entire ArcGIS community. 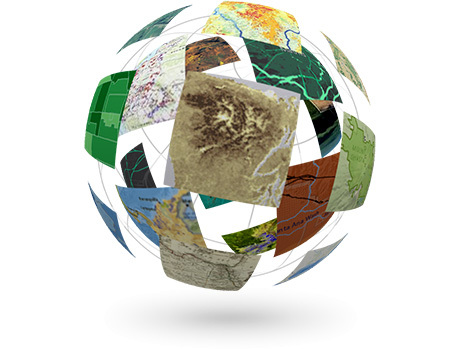 ArcGIS includes a Living Atlas of the World with beautiful and authoritative maps on thousands of topics. There are multiple ways to explore the Living Atlas through ArcGIS Online, including the Maps features pages, ArcGIS.com Gallery, as well as the new Living Atlas of the World web application and other apps such as the latest version of Explorer for ArcGIS. Advances in technology are changing the type, quantity, quality, and timeliness of information available. The ideal human geography database would include uniform social and demographic information about all human populations on the globe. It would include population, household, housing unit, business, and economic information that would allow determination of societal characteristics at any scale from macro to micro. Esri has met this challenge by compiling a human geography database of demographics and statistics about all countries in the world and mapping this data using a new, innovative methodology. 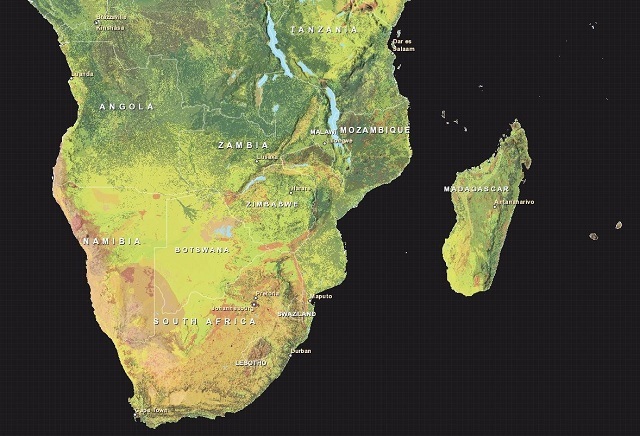 Esri has developed the most detailed population map in the world. Esri’s new world population map takes advantage of this new information to track and estimate populations to support better decision making. Population is modeled from imagery, road networks, and populated place locations to create an urbanization likelihood score. This new model of world population will allow comparative studies and accurate depiction of statistics to ad hoc areas. The US Geological Survey (USGS) and Esri recently announced the publication of the most detailed global ecological land units (ELUs) map in the world. This exciting new global content provides a science platform for better understanding and accounting of the world’s resources. Scientists, land managers, conservationists, developers, and the public will use this map to improve regional, national, and global resource management, planning, and decision making. The world’s most detailed map of ecological land units can be used to understand global ecological patterns and processes for wise planning and use of natural resources. The ELUs provide an accounting framework to assess ecosystem services, such as carbon storage, soil formation, as well as risks, such as environmental degradation. The ELUs also lend themselves to the study of ecological diversity, rarity, and evolutionary isolation. For example, we can use this new map to identify whether the most diverse landscapes in terms of proximity to the most unique ELUs are protected. Understanding diversity can point the way to conservation and preservation planning. Available at multiple geographies in maps, reports, online, and in software, Esri Demographics contains variables such as age, income, race, ethnicity, and much more. Whether you’re in economic development, health care, retail, or real estate, this data adds greater insight to your maps and more context to your analysis. Esri Demographics helps you understand the unique characteristics of a population based on a specific location. This data is accessible through ArcGIS Online as maps, reports, and data that you can use to enrich your maps and data. 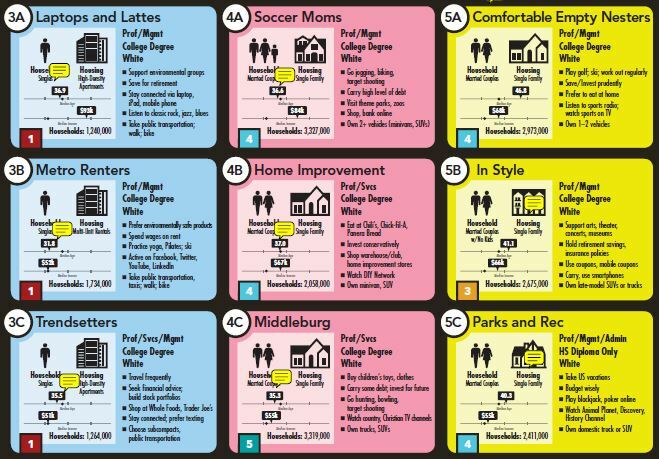 Esri’s Tapestry Segmentation data provides demographic and lifestyle information describing many different segments of the US population. With more than a century of combined experience, Esri’s data team has applied its proven Tapestry Segmentation methodology to classify US neighborhoods into 67 unique market segments. For a broader view, the segments are consolidated into 14 LifeMode summary groups and 6 Urbanization summary groups. Esri’s Tapestry lifestyle data is available across the ArcGIS platform in four ways: web maps, reports, infographics, and data enrichment. Tapestry data is also included with Business Analyst, Community Analyst, and Esri Maps for Office. In 2008, the secretary of the US Department of the Interior (DOI), Dirk Kempthorne, announced that as part of a larger US government initiative to make its data more available, all Landsat scenes in its archives would be available for free. This includes the Landsat Global Land Survey (GLS) datasets, which provide the best worldwide imagery data for how our earth is changing. ArcGIS Online gives you access to multitemporal, multispectral worldwide Landsat 8 and Landsat GLS data. In 2011, Esri made this imagery data accessible for free on ArcGIS Online. 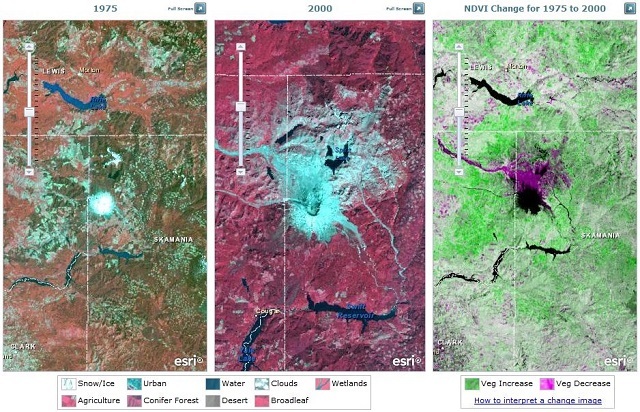 These image services enable fast and easy access to 30 years of Landsat imagery as part of ArcGIS Online. Esri is providing this data (more than 8 terabytes) on ArcGIS Online and serving it as over 20 different dynamic, multispectral, multitemporal image services that provide access to the full image information content, along with change detection capabilities. In addition, Esri has created web maps and an interactive web application that leverage these image services, providing even greater access. In February of 2000, the Space Shuttle Endeavour flew an 11-day mission called the Shuttle Radar Topography Mission (SRTM). With a specially modified radar system onboard, the mission obtained 30 meter elevation data on a near-global scale to generate the most complete high-resolution digital topographic database of Earth. Availability of SRTM elevation data enriches many applications such as earth science and landscape modeling. In September 2014, President Obama announced the public availability of 30 meter SRTM data. 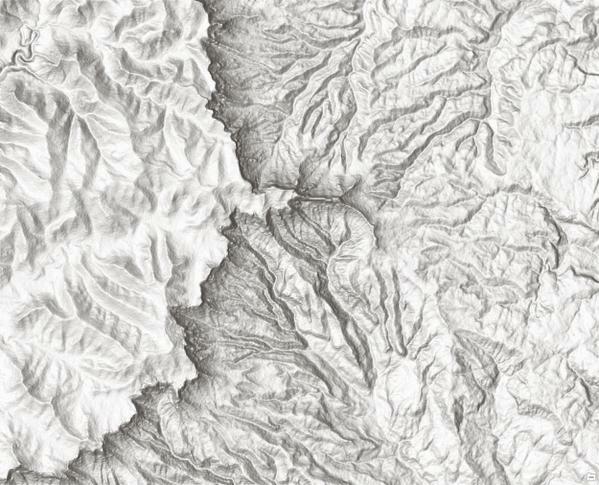 Immediately following the President’s speech, Esri announced that it will enhance its existing World Elevation Map to include this more detailed 30 meter SRTM data, making the data available to our customers and others around the world. The availability of this elevation data will enrich many applications such as earth science and landscape modeling as well as visualization. In 2013 we announced ArcGIS Open Data as a free application for organizations using ArcGIS to publish their open data to the web. Our vision is to enable any organization to quickly and easily share data by using their existing data management infrastructure. This means organizations can focus on open data strategy, policy, and adoption rather than technical and operational concerns. With ArcGIS Open Data, you can create your own public access website that looks and feels just like your own website. Since its launch last year, ArcGIS Open Data has seen rapid adoption by agile cities and regional governments as well as some US states and international government agencies. Looking forward, national governments continue adopting action plans that promote the benefits, and set guidelines, for making data open, accessible, and valuable. ArcGIS Open Data will provide better insight for organizations and citizens to understand the impact of open data as well as easily analyze and understand the data to share insights and perspectives. GIS is a powerful tool that lets you visualize, question, analyze, and interpret data to understand relationships, patterns, and trends. Just as the world around us is constantly changing, GIS is constantly evolving to meet new challenges and leverage new opportunities. The latest step in this continuing evolution—the widespread availability of content, and the ability to share content with the world—is already having a huge impact on the way people use GIS.